Astronomusic are a Brazilian duo dedicated to crafting ethereal, otherworldly music, mostly with guitar, violin, synth, and the like. Zozimo Rech and Adrianne Simioni are as consistent and faithful to their passion as any other band you can name. I have had the pleasure of being in contact with them for some time, even reviewing a few of their albums thus far. So, naturally, I was happy to hear of their new album called “The Four Seasons”. This album is quite an undertaking. 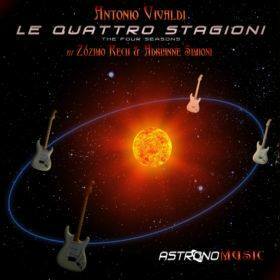 Zozimo and Adrianne have re-created Antonio Vivaldi’s “The Four Seasons” concertos in rock form. In other worlds, they removed all the orchestration, and have covered these four classic pieces of music with guitars, violins, and synth. It’s a tall order, and I have to hand it to them—it’s really well done. Is it my cup of tea, though? I have to admit that I much prefer their original compositions, as I’m not much for covers. Zozimo and Adrianne are capable of some wonderful, soothing space rock that I’ve enjoyed pretty often. So, while the technical achievement here is undeniable, I can’t see myself listening to this album very often. Still, they shot for the stars (like usual), and accomplished their goal in spades. If you are looking for masterful playing, look no further. 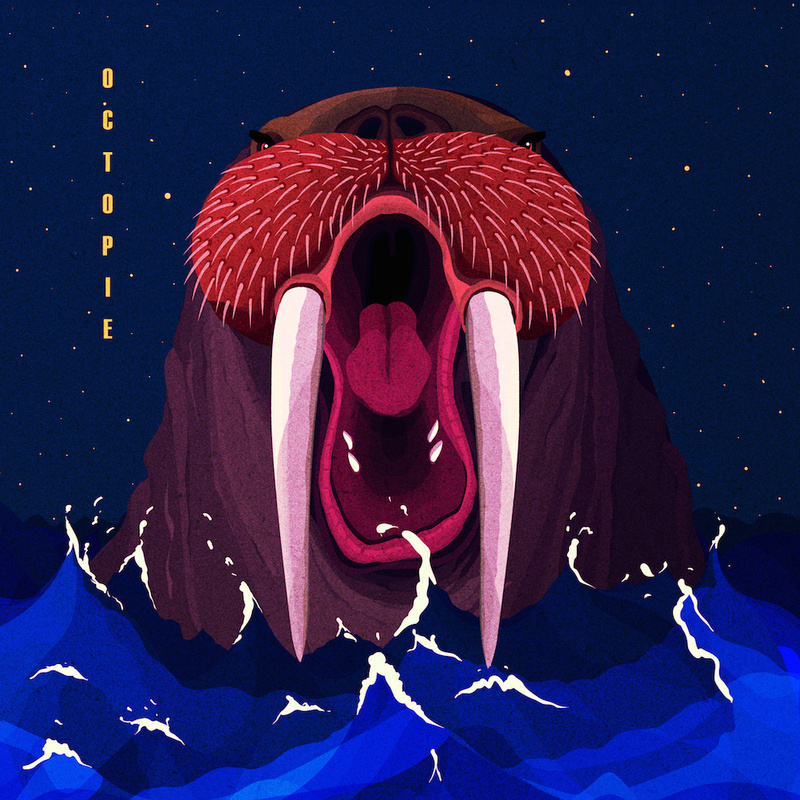 Finnish retro prog rockers Octopie finally released their debut album in 2015. I greatly enjoyed their 2014 self-titled EP for its humor, charm, and variety of music. Band members Tom Tamlander (vocals and bass), Axel Thesleff (keys), Jere Lehtomaa (guitar), and Visa Kivisaari (drums) have shown obvious maturity in their leap to full length album. Not only have they composed an album that, even though it has thirteen tracks, feels very much like a single song, but they have also embraced the humor and quirk that makes them instantly likable. Their sound is something akin to Gentle Giant, though Supertramp influences are obvious, too. Rumbling prominent bass, math rock-esque time signatures, crazy synth, and a slight air of theatrics all permeate this album from beginning to end. While some could criticize them for a slight lack of originality, I’d say that they have taken their influences and made something new. And they weren’t afraid to put a giant walrus on their cover. That takes balls. I had heard of Canada’s Rick Miller here and there in the past, but, in 2014, he really rocked my world with his eleventh solo album “Heart of Darkness”, which contained one of my favorite tracks of the year. Rick, notorious for his speed in composition, released yet another album in 2015, titled “Breaking Point”. His penchant for simply outstanding cover art always has a way of attracting me, and so it was again. 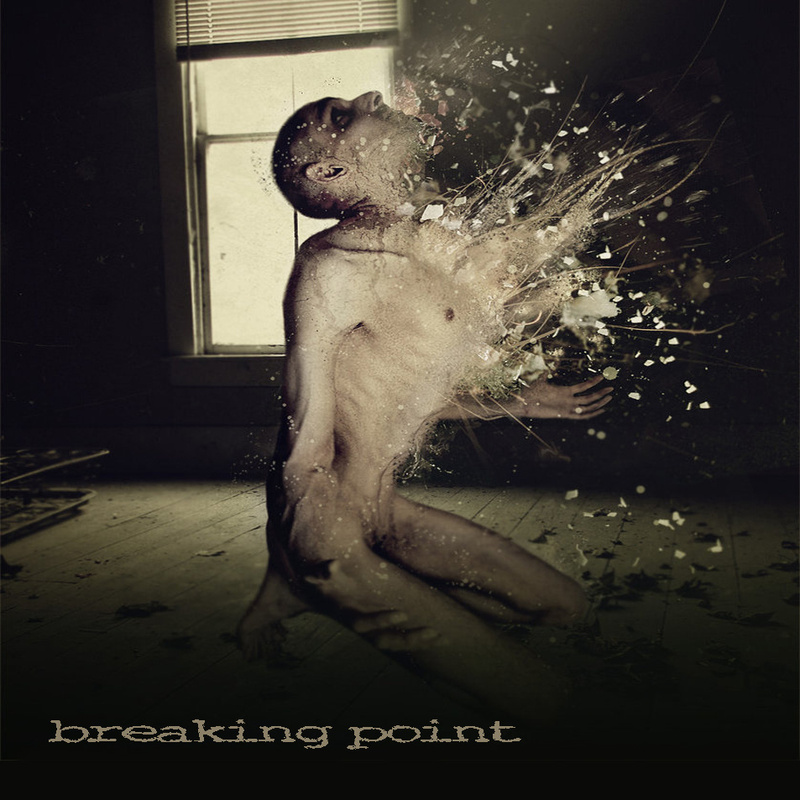 A little quirkier and jazzier this time, “Breaking Point” is a fantastic album that hasn’t received its due yet. Rick is obviously influenced by Pink Floyd and the like, but he has a signature sound that includes excellent guitars, otherworldly flute, and whatever other instruments he chooses. You really never know. In more than a few ways, he reminds me of Steve Hackett, with his delicate vocals, guitar finesse, and love for strange and varied ideas. Probably more so than Hackett, however, Rick is seemingly able to inject emotion in his music, creating pulse-pounding, even terrifying, tones alongside dark stories of inner struggle. Fans of atmospheric prog shouldn’t miss this album. 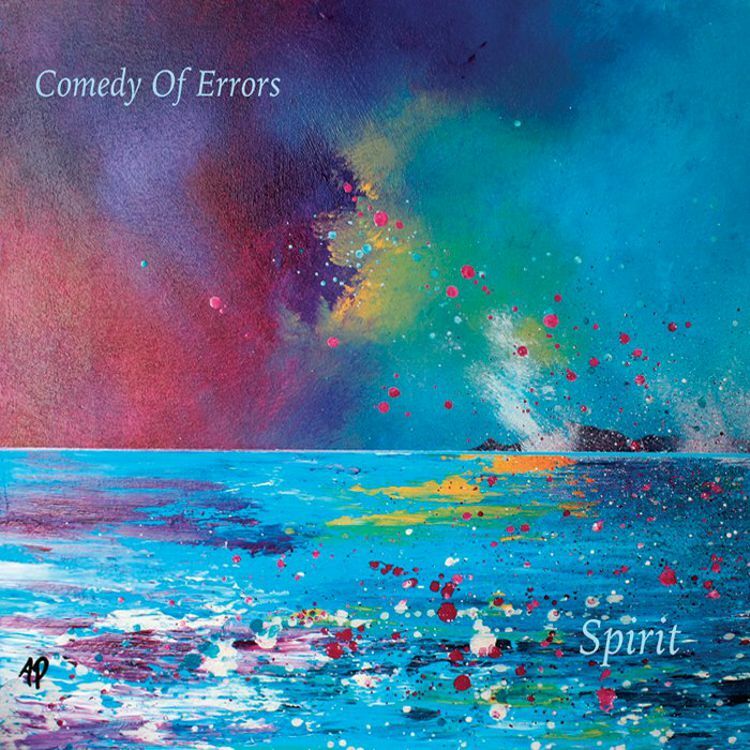 One of my greatest musical regrets of 2015 was not getting more time with the new album from the UK’s Comedy of Errors. Their sophomore album back in 2013 was simply immense, especially in the guitars. Ironic, then, that their third album “Spirit” has seriously impressed me again, but this time in the keys department. Band members Joe Cairney (vocals), Jim Johnston (keys), Bruce Levick (drums), Sam McCulloch and Mark Spalding (guitars), and John Fitzgerald (bass) are all veterans in what they do, more or less. It shows in the finesse and control they have with their instruments. Like I said, I’m very much impressed with Jim’s keys this time. They communicate the spirit of the album quite well, often feeling like a river of emotion. However, all the players here are standouts, and the album as a whole is something different in musical concept than they have done in the past. While the Genesis trappings remain, I feel like the band went out on a limb in composition this time. I’m not sure if this is a compliment or not, but many of the tracks seem rather “free form” in structure, evoking feelings of water and wonder and, well, spirit. “Spirit” has been getting rave reviews all over the place, so I think it’s safe to say you should hear it soon. Another regret of mine is having never gotten a full review written for the new album from New Orleans’ Abigail’s Ghost. Their third album, I actually never thought I’d see it. Their sophomore album was all the way back in 2009, and I had been a fan since their fantastic debut in 2007, “Selling Insincerity”. It was a surprise finally to get another album from these guys, and it doesn’t disappoint at all. They did have an EP in 2014 called “Unmastered”, but this new album “Black Plastic Sun” overlaps in songs, so you won’t miss anything. 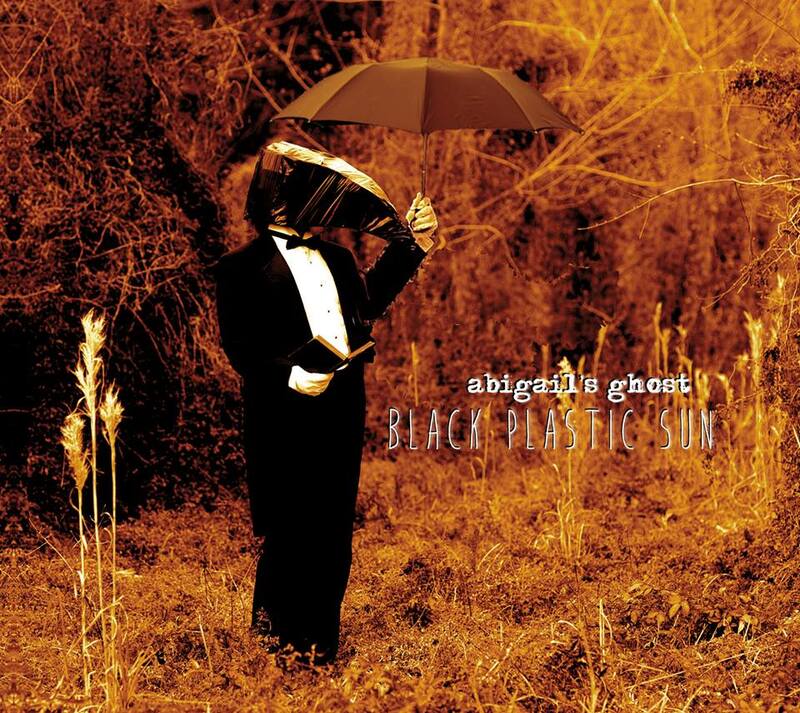 In a nutshell, Abigail’s Ghost is influenced tremendously by Porcupine Tree, a reputation I think the band—Joshua Theriot (guitar and vocals), Kenneth Wilson (bass), Brett Guillory (keys), John Rodrigue (drums), and Randy LeBoeuf (guitar)—want to change. This new album still has the same heavy prog feel, but it comes across as far more folksy and even nostalgic. There is a good variety in ideas present here, and the sounds are all up-to-date and fresh. It seems like they’ve allowed more of their alternative stylings to play a role, too, even pushing some of the songs to heavier tones. Strong vocal hooks, amazing guitars, and a hefty rhythm section all make this an album that deserves more attention, even by me. A relatively recent find for me, Ukraine’s 5R6 are, in a word, spectacular. Most of you know that I was (and am) a fan of grunge, alternative rock, post-grunge, and the like. Well, in 5R6, I have found kindred spirits. Igor (vocals and guitar), Eugene (bass), Cyril (guitar), and Dmitry (drums) play a kinetic, proggy version of all my old favorites. With a vocalist that somehow manages to sound like several different 90’s singers all at once, sloppy distorted guitars (sloppy in a good way), contrasting excellent guitar fingerwork, and genius song structures, I’m surprised that 5R6 haven’t been generating more buzz. The thing that draws me back to the 90’s constantly is that rawness of emotion and expression I find there. Yes, that might seem more like something for high school or whatever, but it takes a certain kind of person to express themselves so bluntly and relatably, and those have always been the kind of person I like to befriend. 5R6 demonstrate this same type of expression, just surrounded by some wild time signatures and progressive ideas that feel so fresh. 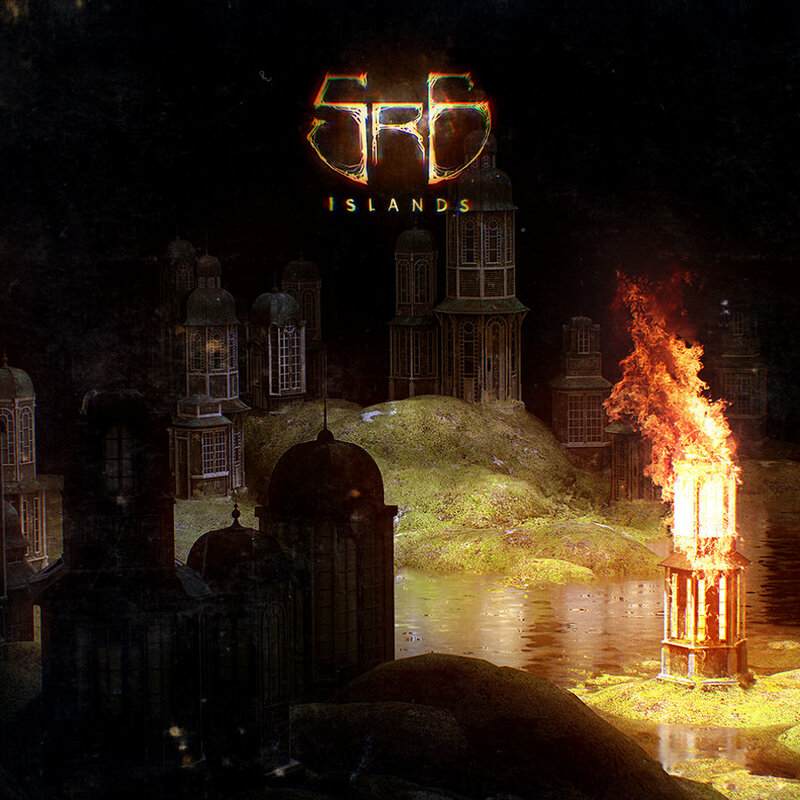 5R6 is a band I will be watching very closely. who have very rough facial hair who need to shave each and every day. does offer the Change Head and Clean the Razor Indicators. special infused water as well as dries it also. camera. Therefore, I acquired a pair of outer waterproof fabric shells when the heavy rains fell. Snorkeling camera reviews One may also wear them in rain as all of the watches are waterproof. helmet, arm, waist, and then for any other place you wish. Flowers have come being considered as one of the most well-liked gifts to get a multiplicity of occasions including birthdays, weddings, graduation, romantic days celebration, and mothers day. picture from different angles, in numerous light and also you’ll soon notice that tinkering with all these ingredients will increase your images. hints, attractive pictures and gardening supplies (general and specific) are available. restricted to just pictures of apples and grapes. This mandate met with a furor within the confines of New York and stirred a national debate.